The stock PS4 Hard Drive is 500gb but games are averaging 20gb-40gb each which doesn’t leave much room to store your games or digitally download them. If you install every launch day game and free download that will only leave you with 70gb left. The good news is that Sony made it really easy for the average joe to upgrade their hard drive. All you need is a standard phillips screw driver and you are ready to go. PS4 Hard Drive Upgrade – Here are the current PS4 Hard Drive specs that you need to consider. With all that said you MUST the hard drive you want for your PS4 is for 2.5 inches wide vs a 3.5 and 9.5mm high anything bigger and you will be returning it. Sony did make the PS4 compatible with 12.5mm drives however the standard for drives is typically 9.5mm and 15mm. There are a handful of recommendations that meet all of the requirements and will hopefully be the last hard drive you have to buy for your PS4. Size – 1TB (1000GB)+ – Unless you are searching for a SSD or SSHD. There really is no use getting anything in between 500gb and 1 TB. A 500gb model will get you the same storage and 750gb will only get you another 5 games worth of storage. 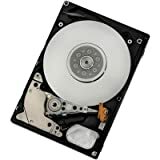 RPM – 5400 is Standard for hard drives but a 7200RPM hard driveis definitely recommended, the cost difference is minimal. 10000RPM and 15000RPM drives are not available over 1TB yet and I personally wouldn’t spend $350 on a 10000RPM drive that is only 600MB. Also note that on laptops the higher the RPM the more power it will consume, since your console is plugged in you will not have to worry about battery life. Sata – Sata II can transfer data at a maximum of 3.0 gb/s while Sata III can transfer up to 6.0 gb/s. You really want a Sata III drive if you are upgrading. Sata III is backwards compatible to Sata II. (Note) It is confirmed that the PS4 uses Sata II in the current hard drive so when you upgrade your drive it will be Sata III. It is not confirmed whether the PS4 can take advantage of the full Sata III speeds yet. Can I buy an external hard drive? Yes but it will not work for the PS4 the way you want it to. Games will not be allowed to be played directly from an external hard drive unlike the Xbox One. Consider boot times before making your decision on what Hard Drive is best. The Seagate 1TB Solid State Hybrid Drive SATA 6Gbps 64MB Cache 2.5-Inch ST1000LM014 is definitely the best drive for the money if you can afford another $40-$50 extra vs the 1TB 5400 RPM drive. A SSD Drive may be a good long term investment if you really have no budget to follow. PS4 Firmware update guide if you have already replaced the hard drive. 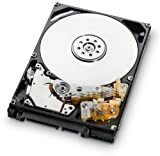 The HGST Travelstar 0S03563/0J22423 drive is under $90 and will double our capacity in the PS4. Amazon rates it 4.5/5 from customer reviews and is compatible with your PS4. For about $120 – The HGST 1.5TB Travelstar will triple your capacity but the RPM is 7200 vs 5400. This is the largest drive currently available. In 2014 the Seagate M9T 2TB drive will be available. A SSHD is simply a hybrid between a standard Hard Drive and a Solid Slate Hard Drive. A Hybrid drive still has the large spinning disk but has the improved cache performance that a SSD has. The SSD actually has no mechanical parts or moving parts, it uses integrated circuit assemblies. The two pictures above show a good visual of what they look like. Hybrid drives can decrease your load times quit a bit. 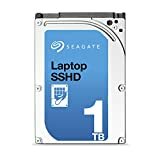 The Seagate hybrid has a great price point at under $110 and a great option if you dont have the budget to spend $175-$600 on a solid slate drive. The 840 EVo series has four options that are compatible with the PS4 based on size. The 250GB/500GB/750GB and 1000GB sizes. SSD drives are a great long term investment for your PS4. Even if you get the 250gb or 500GB versions you can keep a smaller number of games on your drive but benefit from much the best speeds possible. They are all 2.5 Inch 7mm and Sata III, on SSD drives there is no RPM. Samsung offers the highest quality for Solid Slate Drives. The PS4 requires a minimum of 160GB drive so I am only recommending 250GB and up. The Samsung EVO series has up to 1TB capacity. Samsung also offers 840 Pro Series SSD hard drives that are much more expensive. If you have the cash then grab the Pro version over the EVO. Also keep in mind that each game will be 50-60GB so the lower capacity SSD will have much better performance but require more removing of games if you purchase SSDs that are lower capacity. Can you post a link for a 2 tb and 3 tb option? There is one option if you are DESPERATE for the largest sizes though. Get an esata to sata adapter and plug it into the PS4. Then get an external esata caddy that takes 3.5″ drives. The “catch” is it will be less graceful (unless you modify the PS4 case), take up more space and its unclear if it will spin down when idle (it probably will). I actually originally did this on my PS3 and it worked great except the power cable kept coming loose on the caddy causing the PS3 to fail to boot. You should be fine if the esata caddy is good quality. Are there any post-install steps that are needed to configure the PS4 with a new HDD? Source? I understand that the PS4 ships with a SATA II HDD, but how do you know it doesn’t support SATA III speeds? Thats a great question I updated the guide to say that the drive is Sata II. Some tech sites are saying that the PS4 is coming up with varied inconsistent values for Sata III speeds. Still faster than Sata II though. That is good to hear! Think it would be worth getting a SATA III drive, then? Do you have to first format the HD to fat 32 or just the USB stick?